There are lots of ways to deal with cockroaches. Or, more accurately, there are lots of ways to try and deal with cockroaches. Few actually work, however, and they all have their specific intended uses. Traps are better for monitoring and examining roach presence, sprays are better at localized roach infestations or for homes with pets and kids, and so on. Here, we’ll take a look at roach bait gels – one of the strongest tools in the fight against these insect pests, but also a tool that isn’t for everyone to use. Roach bait gels work on a simple principle – they attract roaches with their “delicious” ingredients, they poison the roaches that consume them, and the poisoned roaches then live long enough to return to their nests and poison any roach inside of them as well. It’s a pretty good principle that a lot of sprays and some bait traps share as well. The main differences between roach bait gels and the other anti-roach methods, however, are that roach bait gels are quite a bit more effective than most other methods, but are also more time-consuming and tiresome to use properly. That, coupled with the fact that they are typically less safe for pets and for children, means that roach bait gels are usually used as a (mostly) last resort measure by most homeowners. To help you learn more about why this is so, exactly how do roach bait gels work, how and when to use them properly, and what are their best alternatives, we’ve assembled this article. In it, we’ve tried to quickly but thoroughly go through every essential bit of info that you’ll need to know about roach bait gels. This Advion roach bait gel is a very versatile product with a lot of applications. It works wonders against all species of cockroaches, including German, American, Australian, Brown, Smokybrown, Oriental, Brownbanded, Asian, and others. It also has a strong effect on various other species of insects. It can be used virtually anywhere – in residential, commercial and industrial spaces alike. It is also safe for use in food storage areas. 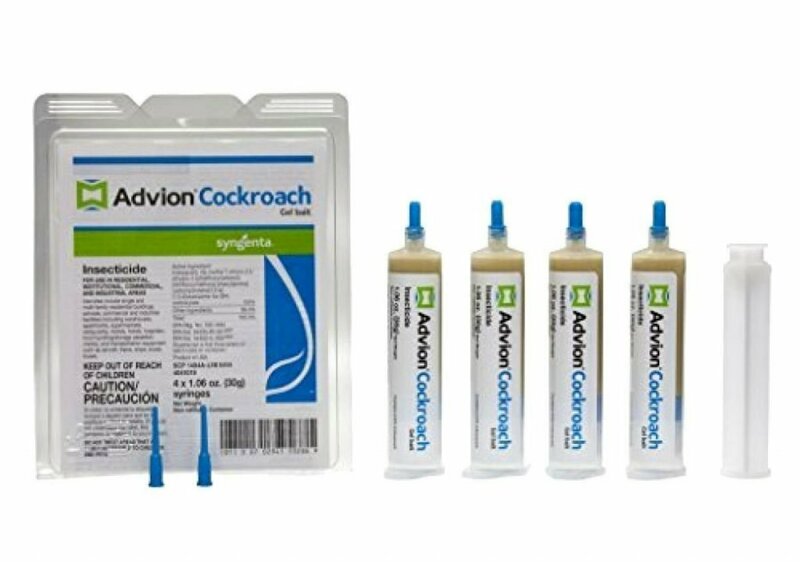 The Advion Syngenta cockroach gel bait is also effective outdoors as well as indoors. You don’t need to read too many Advion cockroach gel bait reviews to be quickly convinced of the gel’s power. The gel combines a highly attractive, proprietary gel formula with a potent non-repellent active ingredient. This makes it irresistible to cockroaches and is what allows it to be such a great population-control tool. 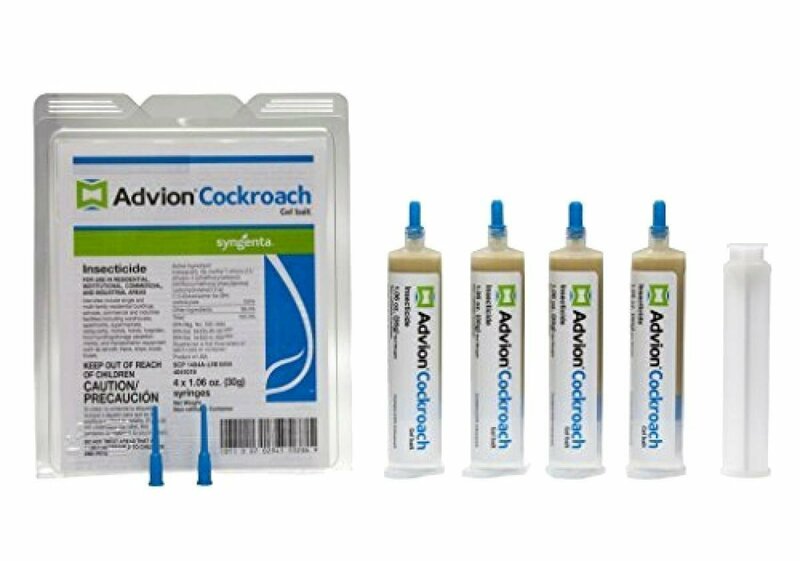 Fortunately, the Advion cockroach gel is quite popular so the question of “Where can I buy Advion roach gel?” is easy to answer – in most online and local stores, as well as on the Syngenta’s own website. The entry holes in the Advion cockroach bait arena are designed in such a way to be effective against both smaller and larger roach species. This vendetta roach gel insecticide comes in a pack of 4 tubes, 30 mg each. 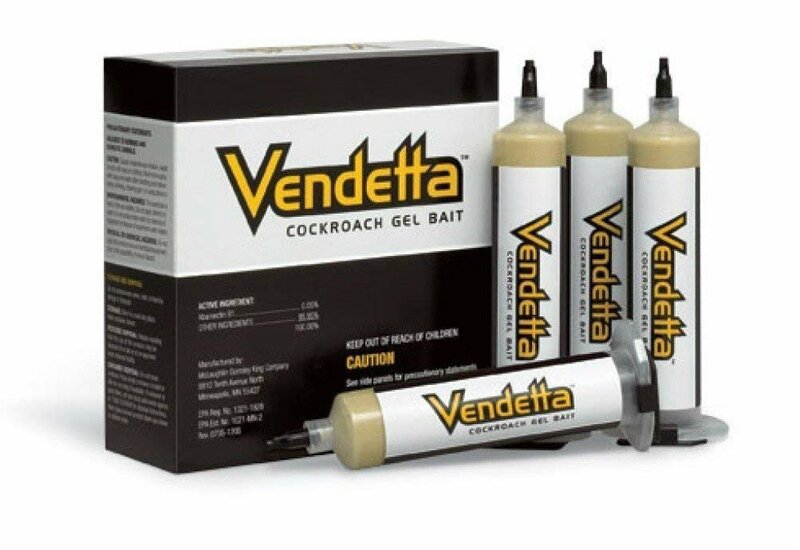 An impressively powerful and multifunctional roach poison gel, the Vendetta gel bait is suitable for both indoors and outdoors usage. You can safely use this gel in any commercial, industrial or residential spaces. Whether you need it for an apartment, a garage, food storage areas, for your homes, for hospitals and nursing homes, for a hotel, a motel, or other guest room establishments, for meat packing and food-processing facilities, for a restaurant, for inside a school, a supermarket, a warehouse, or anywhere else, the Vendetta roach gel bait insecticide is a sure-fire way to rid yourself of roaches. Using Abamectin B1 0.05% as its active ingredient, the Vendetta roach gel bait is highly effective against all know types of cockroaches, including German, American, Brown, Oriental, Asian, and all others, as well as against other insect pests. Produced by MGK, the Vendetta roach gel bait uses a highly palatable balanced nutrient matrix which makes it effective and efficient against even the most severe roach infestations. The Vendetta gel bait delivers a consistent performance against a wide range of dietary conditions and is also very easy to handle and apply. Coming to use from Rockwell, the Invict Gold cockroach gel is in a pack of 4 tubes, 35 grams each. The pack also includes a plunger so you won’t have to buy one separately. Invict’s active ingredient is Imidacloprid 2.15% which makes it the best roach bait gel on the market for exterminating and controlling German cockroaches. This sounds like a downside and it technically is as it makes the product rather narrow in its application. 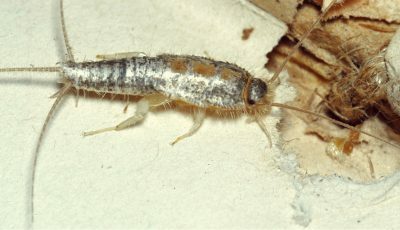 However, with German cockroaches being known as one of the most bait aversive, persistent and hard to get rid of cockroach species on the planet, it’s quite understandable why Rockwell have decided to focus on them specifically. And that’s why it was also clear to us that we needed to include the Invict Gold roach bait gel to our Top 3 list. With almost all other roach bait gels on the market, including our previous two entries, there are often complains that they don’t deal with German cockroaches. They are intended to deal with them and they often do, but not always – that’s just how persistent the German roaches are. Not for Invict, however. This gel bait consists of 11 different attractants in it in addition to its active ingredient, and all 11 of them are targeting German cockroaches almost exclusively. Best used in combination with another more broad-spectrum roach gel bait, the Invict will do a quick work of your German roach infestation. With over 4000 known species of cockroaches on the planet as of today, as well as with all the varying levels of infestations and additional surrounding circumstances, we can’t possibly expect for 3 products to be enough to deal with any situation. So, even though we stand behind our choices for the Top 3 best roach gel products, there are a lot of others that need to be considered and that might be circumstantially better, depending on your situation. So, without further ado, here are our next 7 suggestions for the best roach killer gel items on the market right now. The Combat Max Roach Gel is a versatile roach killer gel that you can apply anywhere you want. 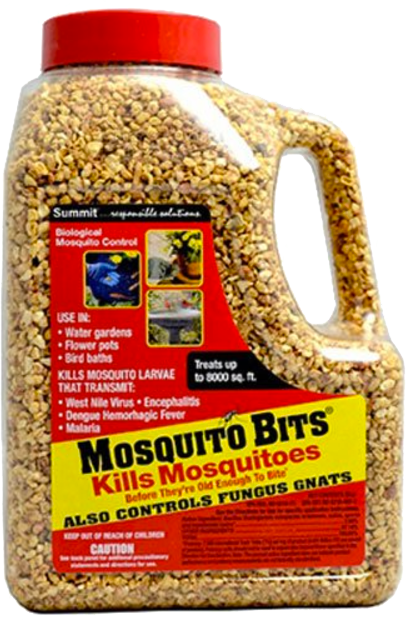 Its formula consists of both nutrients and water that roaches need and are attracted to. The gel works on all types of cockroaches, regardless of their size. This gel, as well as the Combat max roach gel, are both highly effective at what they do, as is supported by the many Combat roach gel reviews. The reason they fell short of our Top 3 is that the product’s brown color isn’t a good choice for most kitchens, as well as that recent reports claim the product is weaker than it used to be. Another deserving candidate for the moniker of “Best roach killer gel”, the Bayer Maxforce FC Magnum Roach Killer Gel has Fipronil .05% as its active ingredient. It’s suitable for both indoors and outdoors use, and is deemed as “pet safe” when used according to its instructions. One negative is that the gel comes without an applicator and it needs to be purchased separately. The SC Johnson Raid Roach Bait Gel is the cockroach killer gel of choice for many homeowners. And that’s not without a good reason – the gel works on all common household roaches, it exterminates whole roach nests within hours, and it comes with a nice applicator that doesn’t run, drip or ooze. It bears noting, however, that there is just a single tube in the package and it’s not as big as other products. A definite candidate for any “Best roach gel” list, the Maxforce Roach Killer Gel comes in a 60 g tube together with 3 syringes. Its active ingredient is Fipronil 0.01% and it makes it highly effective against a lot of the common types of household roaches, especially against American roaches, Brown-branded roaches, German roaches, Smoky brown ones, and Oriental cockroaches. 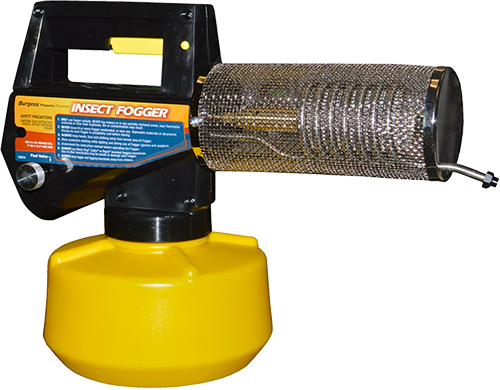 The product is less effective against other types of roaches and insects, however, so you’ll need to be well aware of the exact nature of your pest problem. This Alpine Roach Gel Insecticide is a highly effective solution to most cockroach problems. The pack comes with 4 tubes of 30 grams each for a total of 120 grams of gel. It can be applied in all residential or commercial areas, including both indoors and outdoors. The package also comes with 1 plunger and 4 tube tips. The product is, however, less effective against certain types of roaches (most notably: German roaches), then other roach gel baits. Our second to the last candidate for the title of the “Best roach bait gel” is the Pic Boric Acid Roach Killer Gel. Consisting of 33% boric acid formula, the pack consists of 1 tube of one pound weight and 1 syringe. The product is effective in both commercial and residential areas, as well as both indoors and outdoors. The fact that it includes boric acid is the main argument against it being a part of our Top 3. It’s still a very powerful anti-roach tool, however. Last but not least is Bayer’s Advanced Home Pest Roach Killer Gel. This product consists of a single 15-gram tube together with its own applicator. Its active ingredient is 2.15% Imidacloprid which makes it quite effective against almost all common household cockroach species. The tube is enough for approximately 75 applications, depending on how you use it, which should be enough for an average household. However, considering that most roach killer gels need to be reapplied frequently, one tube will often not be enough and larger packs are typically preferred. As we mentioned above, roach bait gels are actually rather simply products. All they include is water, gelatine, a food attractant for the roaches to eat, and an active ingredient which will poison and kill them. The differences between the various brands and types of roach bait gel come from the food attracts they use and from the active ingredients in them. This may sound like a minor difference at first, but is actually very important – roaches come in a lot of different species, types, and sizes, which makes them hard to target with a single food attract and hard to kill with a single active ingredient. Yes, all roaches seem to be quite fond of sugar and other sweets, but there are different types of sweeteners and concentrations that work on different roaches. That’s why it’s very hard to find a roach bait gel that truly works on all 4000+ types of roaches, even though most of them claim that they do. Instead, it’s best to know what roaches you’re dealing with and find the roach bait gel that works best on them. This can be easier said than done, thanks to the large variety of roach sub-species, so more often than not, the best strategy is to just buy several products and use them at the same time. That’s as far as the food attractant is considered. As for the active ingredient, the way it works is that it poisons the cockroach but it doesn’t kill it instantaneously. Instead, the poisoned roach has time to return to its nest, where it can poison other roaches it comes into contact with. This works in a very simple manner – roaches, particularly young roaches, tend to eat the feces and the corpses of other roaches. So, when a poisoned roach goes back into its nest, drops several roach “stool samples” here and there, and then drops dead itself, it can easily infect several dozen other roaches just on its own. Of course, just as different food attracts work to a varying degree on different roaches, so do different active ingredients. As far as the roach bait gels’ effect on humans and other mammals – most roach gels are highly toxic even to us. This gives them a pretty significant drawback for households with children or with pets, as you’ll need to make sure that these members of your family can’t consume the roach bait gel by accident. 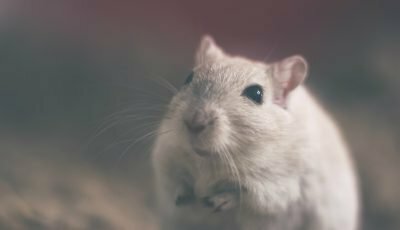 There are some brands of roach bait gels that claim to be “pet safe” and “kid safe” by having non-toxic active ingredients to mammals, but we’d advise you to be cautious even with them. If you’re worried about using a roach bait gel at home, then there are alternatives you can consider. 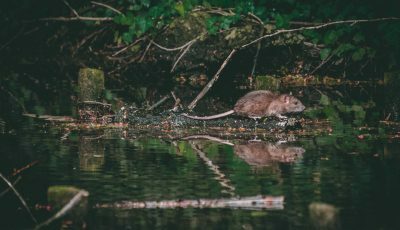 If the infestation is not that bad, you can use roach traps or roach sprays instead, as there are more often safe for mammals, than roach bait gels are. And if the infestation is too severe for such measures, you may consider going away for a couple of days and using roach bombs or foggers or simply calling an exterminator. Buying a good roach bait gel is essential when it’s needed. The first question to ask, however, do you actually need a roach bait gel. These products can be exceptionally powerful tools for combating roach infestations, but they also come with their drawbacks. So, knowing when you need a bait gel and when you need a different anti-roach measure is quite important. What type of roaches are you having problems with? 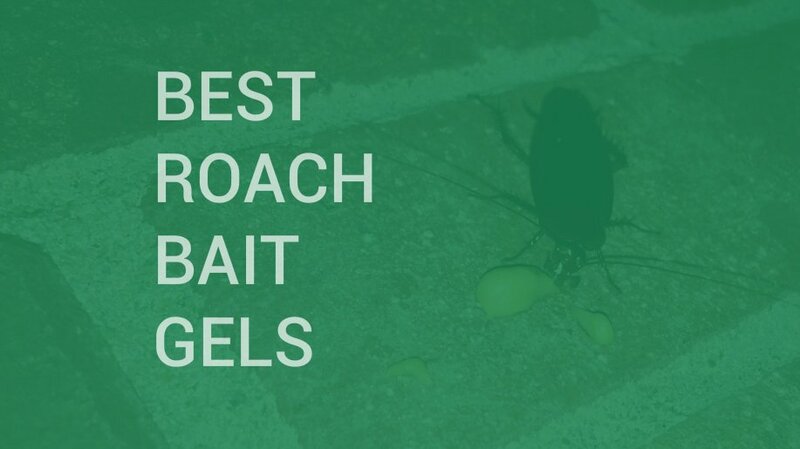 Because roach bait gels have so many different active ingredients and attractants, each product is essentially better or worse, depending on the type of roaches that are plaguing your home or commercial space. One bait gel may be worthless against Asian roaches but work wonders against German roaches, while another can have the opposite effect. This question becomes even more crucial when you have more than one type of roaches that are crawling around your kitchen floor. What do you do when you have German, Brown and Oriental roaches in your home? It’s due to this additional complexity that a lot of people simply opt for a professional exterminator rather than buying roach bait gels themselves. And we’re certainly not discouraging you from seeking the help of professionals – this is indeed the fastest and easiest way to deal with a cockroach invasion. Exterminators cost a fair bit of money, however, so, if you want to deal with the problem yourself, you must do your best to properly identify the types of roaches that you’re having problems with. One trick you can use is to photograph your roaches and seek opinions online. Once you’re certain you know what you’re dealing with you must find the products that are designed to combat these specific species of roaches. Keep in mind that while a lot of the commercial roach bait gels claim that they deal with 100% of roach species, they are still better against some and worse against others. That’s why you’ll probably need to use the help of the online community on this as well. Knowing which type and brand of roach bait killer gel is the most suitable for your particular species of roach invaders is the first and most important step to dealing with the problem. Also, keep in mind that you’ll often need to buy more than one type of roach bait gels when you’re dealing with multiple species of roaches. What’s more, even if you’re dealing with just one type of roaches, it’s often advisable to buy at least 2 or 3 different sets of bait gels for maximum effect. The price of the bait gel. A good roach bait gel can deal with a minor roach presence with just one application. For more problematic cases, however, you will likely have to reapply the gel several times before the problem is gone for good. This makes roach bait gels into a more significant monetary investment than they may seem like at first. So, while you definitely don’t want to compromise the quality of the product by looking for cheap gels, you also want to look out for overpriced products. The quantity of the bait gel. As we said, roach bait gels often need to be reapplied frequently, so buying just one small tube is often not enough. If you don’t want to go to the shop in a day or two, as well as to overpay for multiple single-tube packs, it often makes sense to buy bigger packs of roach bait gels. On the other hand, if this is your first time dealing with a roach infestation of an unknown type, you might want to buy several different single-tube packs of different brands and use them simultaneously. This will allow you to see which brand works the best (which brand attracts the most roaches, in other words), and then you can go and buy a bigger pack of that brand if you need more bait gel. The odor of the bait gel. A lot of roach bait gels are odorless, but some are not. It’s easy to just advise you to avoid them, but the fact of the matter is that a lot of them are quite high-quality too. So, making up your mind on your priorities is needed here – do you want to get rid of the roaches as soon as possible, even if it’s at the price of having an unpleasant odor in your kitchen for a while? The color of the bait gel. This sounds like a silly consideration to have, but roach bait gels need to be applied in multiple locations around the treated area. If it’s in a commercial space or a storage area you may not care that much, but if you need to apply roach bait gel on your kitchen’s white tiles, then picking the right color can be a good idea. You don’t want 50+ brown dots and strips of gel around your kitchen’s floor, right? Most roach bait gels happen to be precisely brown, however, which can be unfortunate from that point of view. At the same time, the brown color makes them better to notice for when you need to remove the dried off gel and reapply the new one. The longevity of the bait gel. One of the more annoying aspects of roach bait gels is that they tend to dry off after a while. Once they’ve dried off them may still attract roaches, but it’s significantly less likely. That’s why, for maximum effectiveness, reapplying the roach bait gel after it has dried off is necessary. Therefore, having a roach bait gel that dries off more slowly than other bait gels can save you both time and money, while still being just as effective. The quality of the bait gel. We are putting this point near the end not because it’s not important, but on the contrary – to underline its importance. A lot of roach bait gels claim to deal effectively with this or that species of roach. And a lot of others claim to deal with all types of roaches, only to fail miserably when put into practice. Wasting time with a sub-par roach bait gel can not only be irritating, but it can also give the roach infestation even more time to become significantly more severe. That’s why you need to not only act fast but act smart as well. All the product suggestions at the start of the article of a high enough quality to deal with a roach infestation when used properly, so we’d strongly advise you to consider them above all others. The brand of the bait gel. Related to the point above, once you’ve decided what type of roach bait you need, picking up a gel of the right brand can get you far along the way of dealing with the roach infestation. Some brands are decisively better than others, so here are the ones we’d recommend: Raid, Invict, Vendetta, Advion, Bayer, Combat, Alpine, Maxforce, Pic, and others. Roach bait gels, like all other anti-roach and anti-pest tools, evolve all the time. We’ve gone a long way in combating those nasty little insects, but there’s still a lot more than can be done. In fact, it’s safe to say that we probably won’t ever rid ourselves of cockroaches completely – at least that’s what history has taught us. There are more innovations that can be expected from roach bait gels, however. Most importantly, we’re looking forward to roach bait gels that can stay moist and not dry off for as long as possible. One of the most annoying drawbacks of these anti-roach tools is that they need to be reapplied constantly until the roach infestation is properly dealt with. There’s probably a long way to go until we get there, however. Sugar is the favorite food of cockroaches (one thing we have in common with them), so using sugar is an easy way to make your roach bait gel as alluring to the insect pests as possible. All you need to do is mix all the ingredients in the bowl, stir them until the gelatine has formed a nice, even mixture, and then apply the gel on the index cards and place them in strategic locations around your home. Keep in mind, however, that we do not actually recommend that you do this yourself. Borax is highly toxic to humans and pets, which is why most modern roach bait gels aren’t using it. Additionally, there’s also the risk of failing to prepare the mixture properly and not making it attractive enough for the insect invaders. And, as we said above, with serious roach infestations you need to be as quick and as effective as possible. So, rather than wasting time trying to make your own DIY roach bait gel, we strongly recommend that you just buy a couple of high-quality commercial roach bait gels and deal with the problem as quickly as possible. The reason roach bait gels are often skipped by homeowners and other anti-roach tools are chosen, is because working with a roach bait gel can be tricky. For starters, roach bait gels are left exposed which makes them easy pickings for kids and pets. And since they are highly toxic, letting your child or pup eat them is a big No-No. What’s more roach bait gels need to be applied to many places around the house to be effective. A lot of homeowners simply put down several drops of the bait gel here and there and then complain that it isn’t working well enough. That’s simply not how you deal with a roach infestation. When using a roach bait gel you want to apply it on as many places as possible. The bait gels attract roaches to themselves, but they are not exactly ultrasound beacons that lure roaches from afar. A roach bait gel is essentially just food for the roaches, so it needs to be applied to places that the pesky insects can find it. Localizing the exact spots, cracks, and crevices that the roaches crawl out of can help you a lot, but generally you just want to cover your bases and apply your roach bait gel of choice anywhere you can think of. Additionally, it’s very important to keep the treated areas clean of all and any other contaminants while you’re using the roach bait gels. Technically, you want to keep clean at all times anyway, especially if you’re worried about roaches, but that’s even more important when using a roach bait gel. Because the gel works only when consumed (unlike localized roach sprays that can also work when the roaches just walk over the sprayed area), you need to make sure that the roaches actually eat the gel. Which means, that the less non-poisonous roach food you have on your floor and your countertops, the better. It’s also very important to know where to apply the gel to. Roaches avoid sunlight like vampires and tend to stick to moist, un-aired spaces as much as possible. Applying roach bait gel in the middle of your central countertop, right where the sun shines through the window, isn’t going to be as effective as if you applied the gel under the kitchen sink. Additionally, moist and lightless places will help the gel itself stay moist for as long as possible. Lastly, there is the unfortunate matter of having to constantly reapply the roach bait gel. The reason roach bait gels attract roaches so effectively isn’t just in the nutrients that they contain, but in their moistness as well. Roach bait gels are effectively both food and water for roaches, which is great because when they are moist they are even more alluring to the nasty insects. Being left exposed, however, roach bait gels naturally dry off quite quickly. You can try and look for bait gels that stay moist for as long as possible, but even they will dry off eventually. And when that happens you’ll need to go through all the places you’ve applied the gel to, gather the dried off the product with a paper towel and reapply new gel. Aside from all that, it’s obviously highly important to follow the instructions of each individual product. Since roach bait gels have different ingredients, they tend to have different user instructions, so follow them to the letter. Quick tip: If you want to have an easier time reapplying the gel after it has dried off, a good trick is to apply it only index cards that you can place on the floor. This way, you’ll need to replace the index cards themselves, rather than having to clean the dried off gel with a paper towel. One drawback of this method is that index cards can be hard to place on vertical or tricky to reach places such as walls, behind counters, under the sink, etc. Roach bait gels are an innovative and peculiar solution to roach infestations. Or at least, they seemed peculiar when they were invented. Nowadays, roach bait gels are the norm for battling severe roach infestations and are usually the first weapon of choice of most insect exterminators. A typical roach bait gel works on a very simple principle. It is delicious to cockroaches so it attracts them to it. And it is also poisonous, so it poisons the roach upon ingestion. The poisoned roach, however, doesn’t die immediately and has time to go back to its nest and infect every other roach it comes in contact with. This simple, yet effective method makes roach bait gels into one of the most effective tools against roach infestations. Still, bait gels do have their disadvantages – they are usually toxic to humans and pets which makes less advisable for families with kids, dogs or cats. They also need frequent reapplying as they take time to work and also dry off quickly. Still, if you are certain that you can keep your pets and kids off of the gel baits, and you don’t mind the hassle, roach gel baits are among the best and most efficient ways to rid yourself of even the heaviest roach infestation.